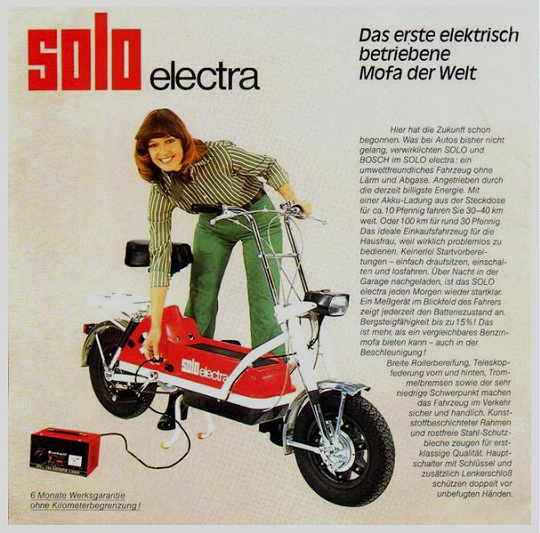 Cool german electric scooter from the 1970’s. Found on The Marquis, an equally cool blog about vintage motoring, and motorcycle, culture. This entry was posted in Not a Lambretta and tagged 1970's, Eco, Electric, German, retro, The Marquis by crocodilejock. Bookmark the permalink.